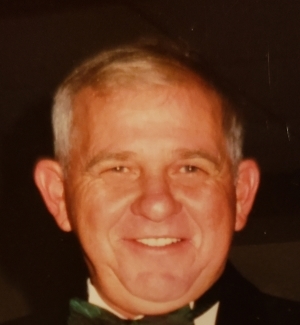 Bobbie Dean Stanley Sr. - age 75 of Turney, MO passed away Wednesday evening April 3rd, 2019 at his home. Bobbie was born on February 17th, 1944 the son of Benjamin Ichabod and Earnestine Laverne (Colliver) Stanley in Tina, MO. He was a graduate of North Kansas City High School. In August 1963 he was united in marriage to Mary Michele Rose. They raised their family in Gladstone until moving outside Turney. Bobbie was a member of the Pipefitter Local Union# 533 for 35 years, retiring when his health wouldn’t allow it anymore. He enjoyed going out to dance and listening to bands. Bobbie liked to mow, ride horses, shoot guns, take care of his animals, hunt, ride motorcycles and listen to country music. He also enjoyed playing racing games on Xbox. Bobbie will be dearly missed by his family and friends. Mr. Stanley was preceded in death by his wife, Mary Stanley, parents, and sister, Shirley Ruskin. Survivors include: son, Bob Stanley Jr. of Lathrop; daughter, Leigh Anne (Rodd) Boyer of Gower, MO; son, Michael (Michelle) Stanley of Gladstone; son, Christopher (Michelle) Stanley of Polo; sister, Lois Conner of Kansas City, Kansas; brother, Wayne (Madeline) Stanley of Rayville; 7 grandchildren; 6 great-grandchildren; other extended family and numerous pets.